I recently read a blog from my friend Bob Schwab, a certified mortgage consultant with Finance of America, that had me thinking. It’s about how the median home price in the fourth quarter of 2018 was the least affordable level since the third quarter of 2008, according to statistics from ATTOM Data Solutions. Here are my two cents on this, and about what it means in the local real estate market: You can’t time the market. Buying over renting is always a better long-term strategy. I have had buyers looking this December and were able to quickly get into a home that had some healthy price reductions (really it finally just got priced right) and we have been able to negotiate on repairs. They also found a home that was about $70k below their top end budget. They were motivated, they just had a baby, wanted a house, and were very methodical. They will simply build equity just by paying their mortgage every month and doing some improvements. Bob Schwab: Is the real estate market finally going back to normal? 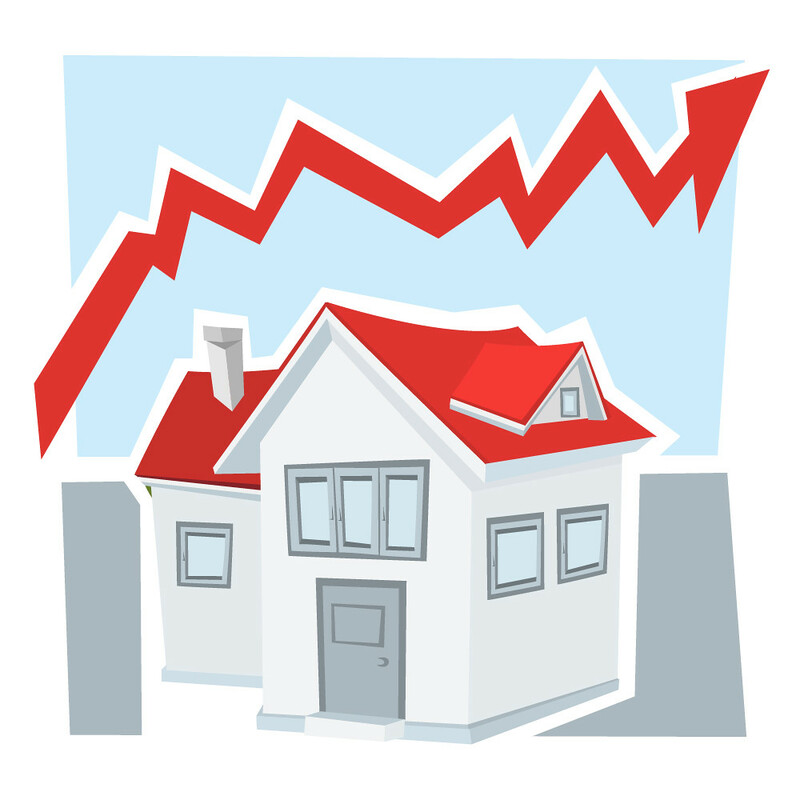 Our in-house lender Bob Schwab recently sent an article about the housing market and its ups-and-downs over the last decade-plus. He thinks it’s about time that the real estate market goes back to normal. Here is what is says, with my take at the end! After the bubble burst in June 2007, values depreciated 6.1% annually until February 2012. From March 2012 to today, the market has been recovering with values appreciating 6.2% annually. These wild swings in values were caused by abnormal ratios between the available supply of inventory and buyer demand in the market. In a normal market, there would be a 6-month supply of housing inventory. When the market hit its peak in 2007, homeowners and builders were trying to take advantage of a market that was fueled by an“irrational exuberance.” Inventory levels grew to 7+ months. In this simplified view, with that many homes available for sale, there weren’t enough buyers to satisfy the number of homeowners/builders trying to sell, so prices began to fall. Then, foreclosures came to market. We eventually hit 11 months inventory which caused prices to crash until early 2012. By that time, inventory levels had fallen to 6.2 months and the market began its recovery. Over the last five years, inventory levels have remained well below the 6-month supply needed for prices to continue to level off. As a result, home prices have increased over that time at percentages well above the appreciation levels seen in a more normal market. Both existing and new construction inventory is on the rise. The latest Existing Home Sales Report from theNational Association of Realtors revealed that inventory has increased over the last two months after thirty-seven consecutive months of declining inventory. At the same time, building permits are also increasing which means more new construction is about to come to market. With supply increasing and demand waning, we may soon be back to a more normal real estate market. We will no longer be in a buyers’ market (like 2007-February 2012) or a sellers’ market (like March 2012- Today). Prices won’t appreciate at the levels we’ve seen recently, nor will they depreciate. It will be a balanced market where prices remain steady, where buyers will be better able to afford a home, and where sellers will more easily be able to move-up or move-down to a home that better suits their current lifestyles. Returning to a normal market is a good thing. However, after the zaniness of the last eleven years, it might feel strange. If you are going 85 miles per hour on a road with a 60 MPH speed limit and you see a police car ahead, you’re going to slow down quickly. But, after going 85 MPH, 60 MPH will feel like you’re crawling. It is the normal speed limit, yet, it will feel strange. That’s what is about to happen in real estate. The housing market is not falling apart. We are just returning to a more normal market which, in the long run, will be much healthier for you whether you are a buyer or a seller. Note: This is a nationwide overview, but there are always micro areas that buck the trend. Author KristinPosted on October 9, 2018 October 9, 2018 Categories Featured, Real EstateTags appreciating, bay area, Bob Schwab, buyer, depreciated, east bay, housing, Kristin Lanham, market, normal, real estate, seller, Walnut Creek, Walnut Creek LifestyleLeave a comment on Bob Schwab: Is the real estate market finally going back to normal? Are homebuyers going to hit the pause button? Mortgage Consultant Bob Schwab posed an interesting question on his blog recently: is purchase demand softening? He writes that over the last several years, buyer demand has far exceeded the housing supply. This has led to home prices appreciating by an average of 6.2 percent each year since 2012. Latest reports say buyer demand remains strong, due to supply and new construction remaining unable to keep up with buyer demand – despite a healthy economy and labor market. In July 2018, the Showing Index recorded buyer interest deceleration compared to the previous year for the third month in a row. They think buyer demand is softening. This measure reported slower homebuying activity in July 2018, down from the same month one year ago. It is the fifth straight month they’ve seen a decline, so they agree buyer demand is softening. The Z Report also finds buyer demand to be softening, stating that “a level of “pause” has taken hold in many large housing markets.” Their buyer demand rating of 69 (1-100 scale) is above average, but down from 74 last year. When most of the major measures of buyer activity report that demand is softening…it may just be true. According to Bob, the strong buyers’ market directly after the housing crash was followed by a six-year stretch of a strong sellers’ market. If demand continues to soften and supply begins to grow, as expected, there will be a return to a more neutral market. Though that wouldn’t favor buyers or sellers immediately, it is a better long-term look for real estate. And my take: As rates and prices have increased, we are starting to see homes sit on the market longer and sell for less than they did six months ago. It really depends on the home and location. In Parkmead, buyers seem to want single story homes with current updates and a flat yard, as with the sale of 1691 Lilac. We still have an inventory shortage, but buyers are now taking their time, and a shift isn’t necessarily a bad thing. We will see if the lull is seasonal, but it most likely we will see the rate of appreciation slow down and sellers may have to adjust what they believe the value of their home is and buyers may not get as good of a deal as they expected. Author KristinPosted on September 25, 2018 September 25, 2018 Categories Featured, Market Update, Real EstateTags bay area, Bob Schwab, buyer, demand, east bay, economy, health, housing crash, Kristin Lanham, labor market, long-term, market, National Association of REALTORS, real estate, Realtors Confidence Index, seller, ShowingTime, strong, The Foot Traffic Report, The Real Estate Broker Survey, The Showing Index, The Z Report, Walnut Creek, Walnut Creek Lifestyle, Zelman and AssociatesLeave a comment on Are homebuyers going to hit the pause button? Bell says he predicts a recession in 2019 or 2020, and that the real estate market will be a minor factor in it. Rising interest rates may offset some buying opportunities. It’s also hard to predict how much tax reform will play into this. Prices continue to rise and might be causing more people in the middle class to flee the Bay Area. On June 19, the Joint Center for Housing Studies of Harvard University released their 30th anniversary edition of the State of the Nation’s Housing report. The 2018 report highlighted some major themes including lack of housing supply, rising home prices and rents, and housing affordability. The U.S. housing market continues to be plagued by a lack of supply of homes for sale. Months of supply available for sale is a key measure of housing supply, and is at levels that are below where they would be for the housing market to be balanced. The Harvard report points out that negative equity as reported by CoreLogic no longer appears to be a drag on sales. Negative equity shrank from 12.1 million mortgages in 2011 to 2.5 million in 2017. Rather, a factor in the low housing supply is slow growth in single-family construction that has not kept up with demand. Low housing supply has contributed to increases in home prices. Home prices, according to the CoreLogic HPI were up by 5.9 percent for all of 2017. Prices for the lowest-cost homes (those homes priced at 75 percent or less than median) were up by 8.5 percent, compared with 4.7 percent for the highest-cost homes (those homes priced at 125 percent or more than median). Along with home price increases, there have also been increases in rents. The report highlights the CoreLogic Single-Family Rental Index (SFRI). While the SFRI is still showing increases in rent through the beginning of 2018, there has been a deceleration in the rate of increase. Living in the Bay Area, we know the increases in home prices and rents have outpaced increase in incomes and have contributed to affordability problems. High prices and low supply constrain access to homeownership, but affordability issues are more immediate for some households. The CoreLogic SFRI shows that the lowest-cost rentals are showing the fastest rent growth, adding to affordability challenges to low-and-moderate income households. The Joint Center reports that in 2016, 38.1 million households were cost-burdened, meaning they spent more than 30 percent of their incomes on housing. While this number was down by 800,000 from 2015, it is still 6.5 million higher than it was in 2001. I also believe the low supply in California has multiple factors. People are not moving up, but remodeling because they don’t know where they would move. Seniors also have the same problem and if they stay in California, some counties will not accept their current tax base and they often have to sell in order to buy. It is a domino effect. I’ve included the graph above for context, and have the entire PDF report available if you’d like to see it. For any housing-specific questions, shoot me a note! Are home values really inflated? 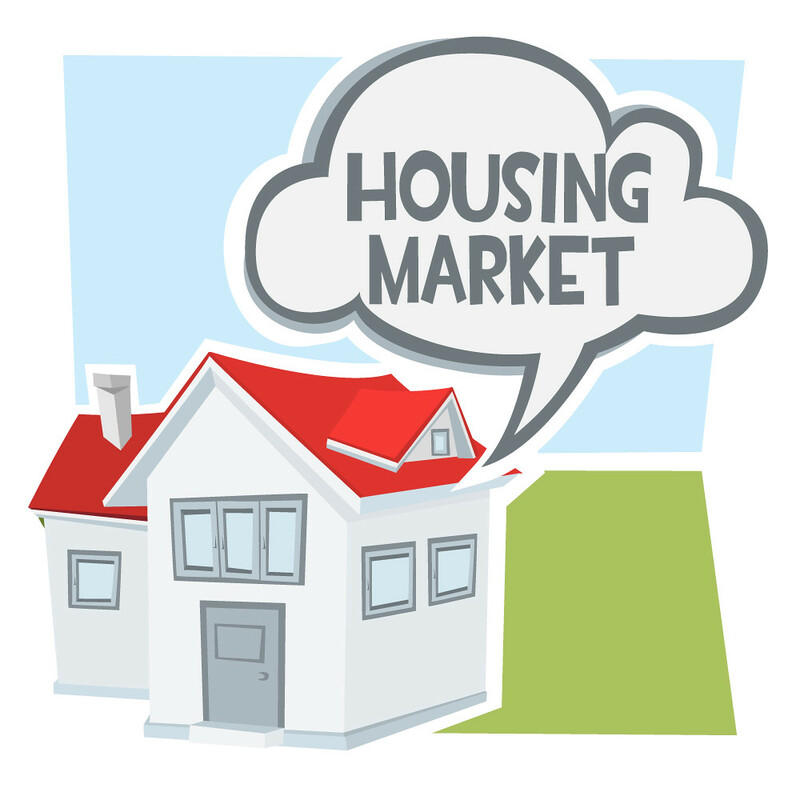 For the 71st month in a row, the housing market experienced year-over-year gains. As of January, the median existing-home price for all housing types was $240,500, which was a 5.8 percent increase from January 2017 ($227,300). According to Bob Schwab from Finance of America, this may lead many to believe that home values are overinflated. The blue bars represent where prices would have been if they increased normally, at an annual appreciation rate of 3.6 percent. By adding that percentage to the actual 2000 price and repeating for each year, we can see that prices were overvalued during the boom, undervalued during the bust, and a little bit lower than where they should be right now! All in all, thanks to Bob Schwab for pointing out that we should be comfortable with current home values, and understand that the market actually isn’t overinflated, based on historic appreciation levels. Author KristinPosted on March 15, 2018 March 15, 2018 Categories Featured, Restaurants, Walnut CreekTags 2000, appreciation, bay area, Bob Schwab, boom, bust, east bay, existing, Finance of America, home sales, homes, inflated, Kristin Lanham, market, median, overvalue, prices, real estate, undervalue, Walnut Creek, Walnut Creek Lifestyle, ZillowLeave a comment on Are home values really inflated?